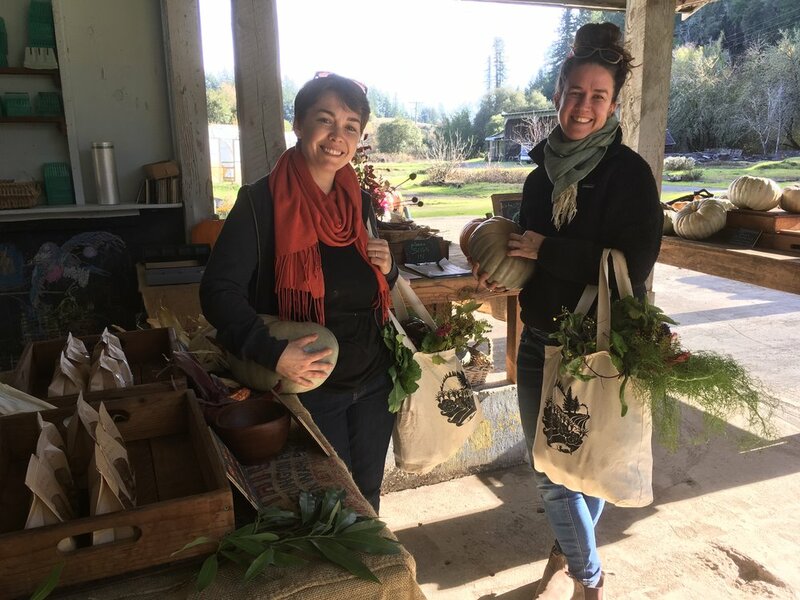 click here to sign up for our 2019 CSA program! 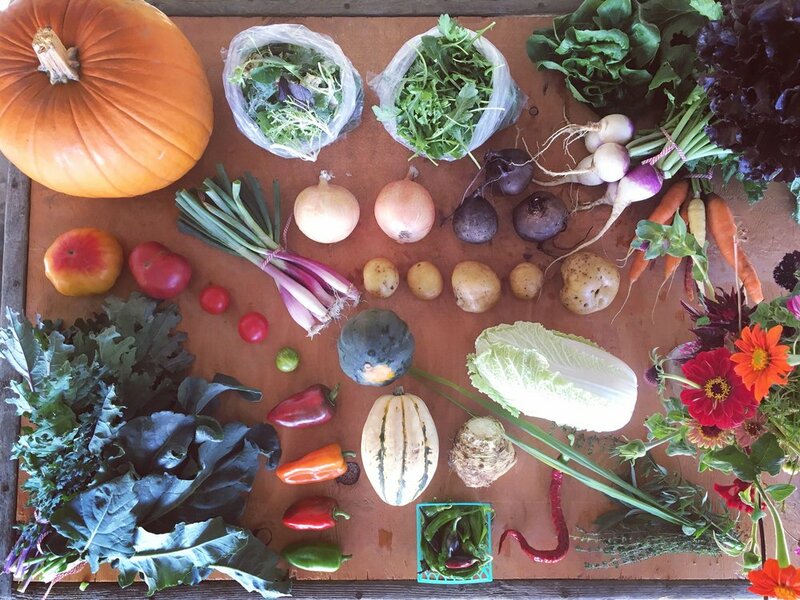 Community Supported Agriculture (CSA) is a partnership between a farm and the people it feeds. 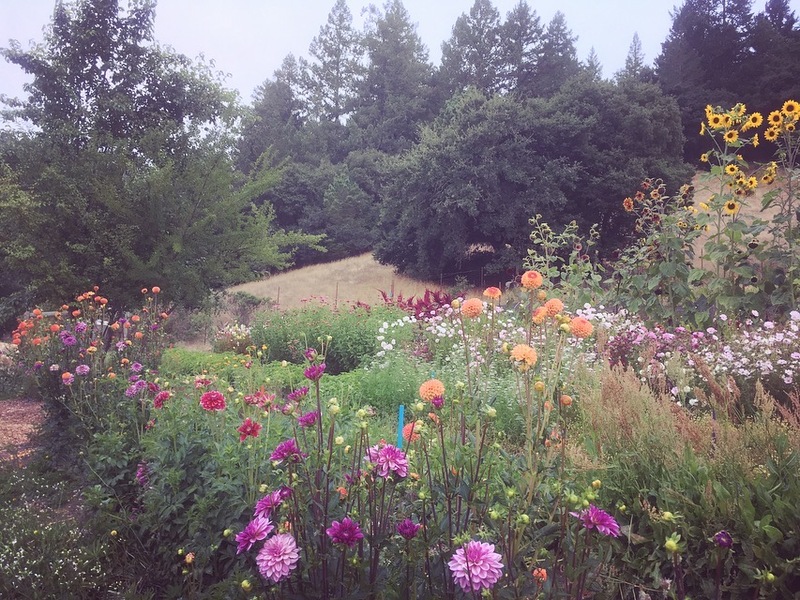 Neighbors provide financial support to a farm at beginning of the growing season and in-turn become shareholders of the harvest, receiving a share of it each week — fresh from fields they know and love and picked by farmers they trust. Each week there are anywhere from 14 to 20 pre-harvested crops choose from: Crisp head lettuces and salad mixes; arugula, mustards, and chicories; spinach, kales, specialty Asian brassicas, dandelion greens; rainbow carrots, colorful beets, heirloom potatoes, succulent radishes and turnips; striped Armenian cucumbers, summer squash, a cornucopia of heirloom tomatoes, rich eggplants, and hot and sweet frying peppers; garlic, scallions, leeks, and specialty onions; robust heads of cauliflower, crisp kohlrabi, sweet broccolis, heirloom cabbages, Brussels sprouts, and cool fennel bulbs; juicy melons, ruby raspberries, mouth-watering strawberries, and crisp sugar snap peas; in the Fall, we enjoy rolling out a cast of heirloom winter squash varieties including pie-pumpkins and Jack-O-Lanterns, and we mill our own polenta and flour corn. You might even find some wild harvested natives in the mix — roasted Bay Laurel nuts anyone? Throughout the harvest season, there are ample opportunities for members to make preserves such as dill pickles, pickled beets and green beans, cabbage krauts and kim-chi, basil pesto, canned tomatoes, dried herbs, and more. We also grow and mill our own heirloom corn into polenta and cornflour and are experimenting with bringing native foods into the share. Members can also opt to purchase exquisite, agro-ecologically produced meats, dairy, bread and other add-ons from collaborators here on the land and from other local producers. Options include: Green Valley pasture-raised dairy and beef and herbal products from our landmates at Bramble Tail Homestead, Half-Wild Farm eggs, Parade the Land pastured chickens raised down the road in Graton, and small batch organic sourdough breads from Gaby Tiradani of Hawk Hill Microbakery. 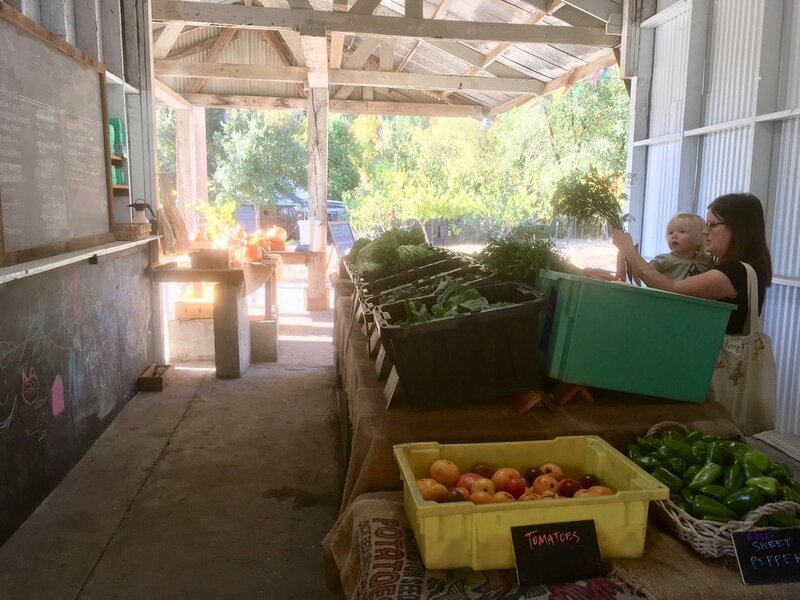 Add-ons make your trip to Green Valley Community Farm as practical as it is fun. We host weekly volunteer days and work parties around major seasonal tasks like the potato, corn, and squash harvests and garlic planting and harvest. Working with a group of people to bring in a harvest is an unforgettable experience and adds a rich note of satisfaction to any meal. 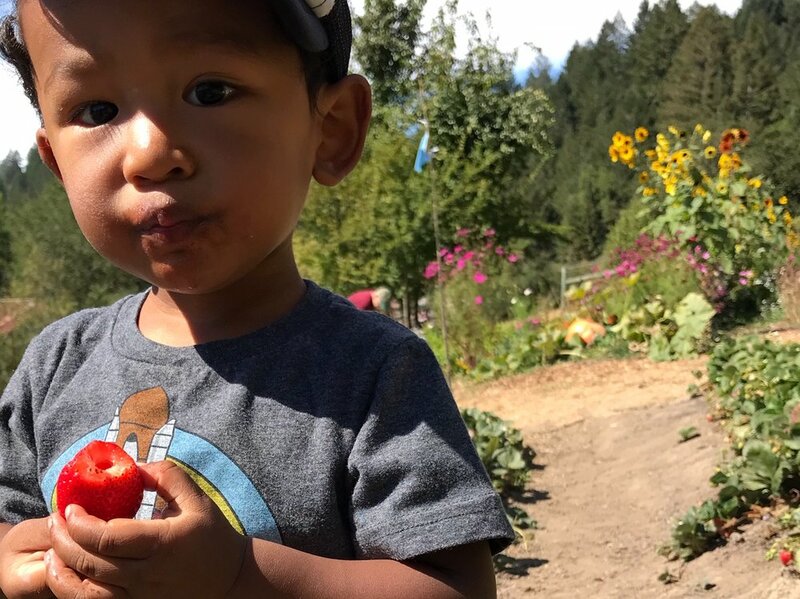 As Wendell Berry once wrote, "A significant part of the pleasure of eating is in one's accurate consciousness of the lives and the world from which food comes." Members receive a weekly newsletter with recipes, farm news, musings, observations, and stories of life on the farm. The newsletters are a weekly journal entry of life on the farm. Read previous newsletters here. Our model frees us up to do what we do best — farm — which means we can grow more of a greater diversity of crops at less cost to you. When you compare sample CSA shares to Farmer's Market or even conventional grocery store prices, our CSA is a great value. We believe sustainably grown local food and farmland access should be available to everyone. To request Share Price Assistance, please indicate so in the sign-up form below. Alternately, please consider making a contribution towards our Share Price Assistance Fund when signing up. This fund goes directly to families and individuals in our community who would like to join this CSA but are in need of a reduced price share.